The Church of Jesus Christ of Latter Day Saints is composed of the faithful who truly believe they are the “God’s Chosen People“. There’s an inherent sense of entitlement that comes with “god” choosing you before you were even born. God has also decided all of his chosen people are direct descendants of Israel, even those of Northern European stock. Members of the Mormon cult are convinced this, among other principles, is absolutely true, despite the irrefutable evidence to the contrary. For instance, “despite the fact that in 1966 the original Egyptian papyri that Smith used to “translate” the Book of Abraham were discovered in the New York Museum of Art, and that they definitively prove that his translation is a complete and utter fraud, Mormons still revere it as authentic scripture, written by none other than Abraham himself.” Mitt Romney has undoubtedly fallen hook line and sinker for this fantastical mythology originated by a convicted charlatan, and lives his life believing he was chosen. Mitt Romney’s reference to deficits as a “moral issue” is a very significant coded signal to Mormons and the Mormon Church. Anything identified as a “moral issue” by the Church is deemed to constitute a matter that the Church should take a public position on, even where political action is involved. This is the basis of the Church’s justification of their involvement in the Proposition 8 campaign; it was the basis of the Church’s involvement, in the 80’s in opposition to the Equal Rights amendment; and this was an outspoken appeal from Mitt Romney to the Church of Jesus Christ of Latter Day Saints for their support of his election on moral grounds. This was monumentally significant to those of us who understand the code. He was calling on his fellow chosen ones to focus on the issue of deficits as if it’s a moral failing of the Obama Administration. It was a call for fellow Mormons to ignore the reality that Mitt himself has saddled more companies with debt while “harvesting” them for profit, resulting in massive job loss and ultimately, bankruptcy. Willard Romney, of all people, has the gall to demand action against the deficits his policies would only greatly exacerbate, which this President inherited. Obvious proclamations of moral obligations should alert us to Mitt’s true agenda: furthering the ambitions of the Mormon Church. After all, they consider themselves an elect breed apart and above all others, holier-than-thou in every sense of the word, the best-of-the-best spirits that god selected to be born into this world as his rulers in the last days before the second coming. If you were not chosen, too bad. Your concerns, like those of parents who encourage their children to watch Sesame Street and other PBS programs, are insignificant to Willard Romney and he will smile to your face while stabbing you in the back, as he’s done to so many Americans already. Hogwash.Offensive and bigoted beyond belief. Are you saying that you were *not* told you were “chosen” in your patriarchal blessing? You are *not* from the House of Israel? Are you saying that the Egyptian papyri corroborate the Book of Abraham “translation”? Are you saying that the Mormon cult did *not* actively get involved with the ERA and Prop 8 because they were “moral” issues? Are you saying that this article is misquoting Glenn Beck? Like Yanquetino, I too, would be quite interested in seeing Diane Oxford clarify what part of this post qualifies for her as “hogwash”, and which part qualifies as “bigoted”. Clearly, I understand that those who espouse the principles of Mormonism will be “offended”. However, taking “offense” at fair, legitimate, and healthy criticism, is childish, immature, and unhealthy. What is stated in this post, is simply true. It is cheap and easy to dismissively disparage truth about the Mormon Cult in a superficial effort to marginalize that truth, unfairly, as “bigoted”, when, in fact, that charge of bigotry is fundamentally hypocritical at it’s root. Bigotry is dogmatic condemnation or marginalization, without foundation, on the basis of cultural bias or belief. It generally targets a specific group for marginalization and then disparages that group with unfounded condemnations to justify unjustifiable opposition, resistance, and injustice toward that group. Mormons, and Mormon apologists arbitrarily condemn all criticism of the insidious nature of Mormonism as bigotry while avoiding like the plague, any fair and thorough disucssion of why open criticism of Mormonism, is not only justifiable, appropriate, healthy, legitimate, but morally and spiritually correct, Mormonism is an insidious and politically ambitious cult which uses lies and deceit amidst a false veneer of charitable compassion to advance it’s objectives. 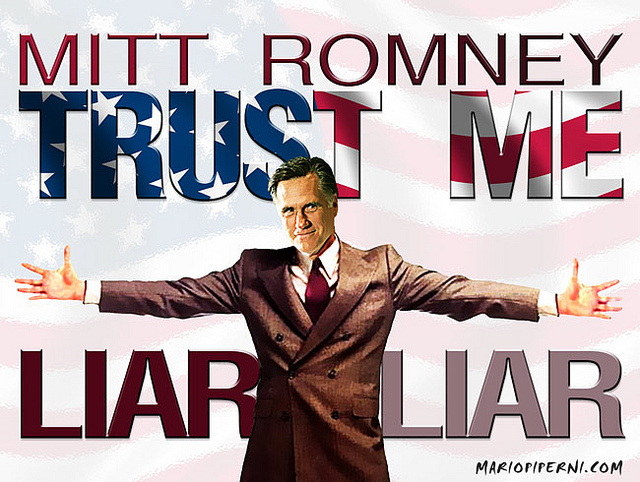 See parkromney.com and countless other websites exposing the truth of this matter, and Diane…. I will take you on, happily, whenever you choose to get past arbitrary and unfounded and unsupported condemnation of Mormon critics and get down to the business of discussing the very real and very well documented basis for such criticism. Mormonism is an insidiious fraud that promotes, illegitimately, “tolerance” to that fraud. Those who espouse grotesque exploitation of faith as something that qualifies for “tolerance” are fools who promote an insidious social cancer that is eroding the very foundations of a free society while masquerading as “religion” and “spirituality”. powerfully said . . good, strong mind with sharp reasoning!!!!! One of two great teachers I was fortunate to have in my life, the second, humiliated every moment I spent in public for 3 years. Literally, in public, at work, in the grocery story, at a party, even my wedding party, walking down that street, at campouts with fifty people listening, it didn’t matter, he was fearlessly relentless and I was fearlessly ready to learn what he had, only because I had a great “first” teacher that taught me to listen and learn, and above all, do my part, and realize I don’t know what the lesson has to offer if I don’t let the lesson teach me. “You want to learn, then learn, don’t ask for the answer, find it!” I did with my second teacher the same as I did with my first. I listened and I learned because I was the student and this man was a teacher that was going to insure I learned my lessons well. It was almost as the two knew each other. As if they planned the entire event. My first true teacher was a Hindu. I didn’t expect that. My second teacher was a return missionary in the Mormon church. The church didn’t appreciate him and never realized he sacrificed himself far more than anyone, except myself knew. I only learned that truth because honestly, he was damned good at his job. His motto was, “If I see something you cannot, and it is important to you, it is my obligation and my responsibility to tell you.” While riding along on that last day with him a silence fell I’d never experienced with this man, this teacher with a perfect plan, The second time I asked sincerely, “What the hell is wrong man!” He looked me in the eye and he smiled, the same as he did when I first asked, but then responded, “You’ve learned.” with a chuckle. He then laughed and confidently, oh by the way, always sarcastically, said, “You knew what I was doing, so why did you ask?” He kept driving us down the road with smile on his face knowing I truly understood and the smile I was wearing was one I knew I would. He taught me I understood who I became, a man who enjoyed who he saw in the mirror, frikin’ finally. I became the friend I always wanted and now, I could finally become a true friend to others. I became who I wanted to be since the first day I remember being someone. One who cares about every frikin’ thing, even in the despair. Those kinds of teachers I’ve had see a new being in their life, they smile, and quietly say to themselves, “Here we go again.” And they might even ask, “So, are you a Mormon too?” LOL… And they begin first by letting you know, You deserve to be here, no one put you here to test you, you’re bad at tests anyway, and you are not judged… So stop worrying. I’ll help you find what you’re looking for. And by the way, I was expecting you, everyone finds there way here eventually, it is the gift of Eternity. So here is where we start, “What are you looking for?” So, my story is simple, Never teach a lie, it is better to stay quiet than misguide one, because that one will misguide many, and those many will… well I think you can get that picture. Truth is eternal. Not because he said so, or anyone else, because I went and found what he taught, and was simply amazed. The mormon church’s records show blatantly what the truth is about their very organization and beginnings. Most of the researchers trying to help teach the truth about the Mormon church gather their information directly from the Mormon church’s very records. If a person gets upset, look to your church first, the answers are there, don’t shoot the messenger. Do your part, learn and never stop. And accept the fact that evidence is valuable, faith can only get you started. Nice of you to say Elliott! The Park Romney quote just links to the Park Romney website, where is the quote actually from? Fortunately for me, it was a quote sent directly to me from Park himself via email. Thanks for the reply. I’ve been affected directly by this double talk.. ‘wouldn’t it be funny if such and such a thing happened to such a person’ (from one prominent Mormon to someone in a position of power – ie ‘I want you to screw this person over’) Its really spooky for me how many apparently really genuinely nice mormon footsoldiers there are, ruled by these creeps. Anyone check into the “binders of women” comment? Methinks you’ll get chills up and down when you see the genesis of this phrase…..
Catalogues filled with polygamist’s bride choices is pretty suspicious I’d say! Thanks for alerting me.